It is no secret that my favorite place to grocery shop is ALDI. 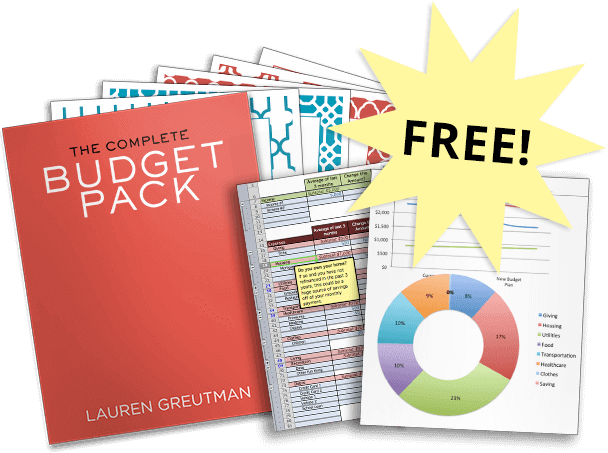 I spend a good amount of time in there while creating my Aldi meal plans, and have picked up some secret tips that you probably don't know about. 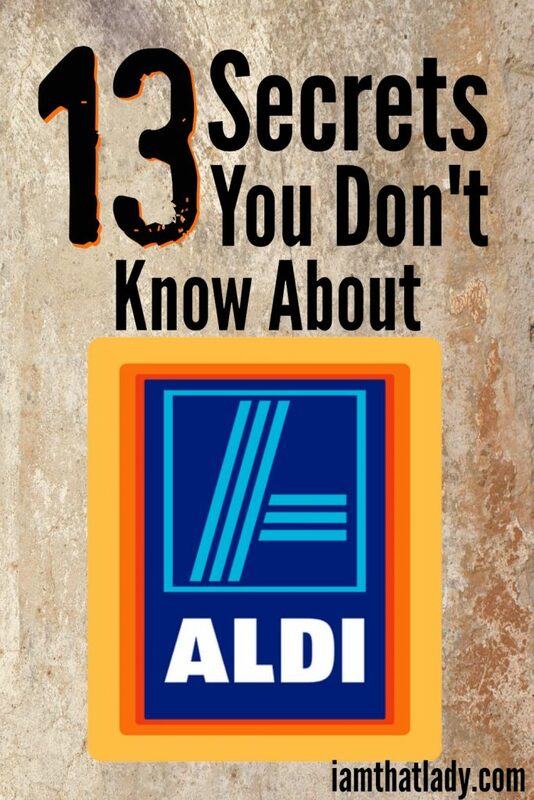 I thought you would want to know how this simple store makes shopping such an easy experience, so here are 13 secrets that you do not know about Aldi. 1.) There are multiple bar codes on every product so that when the cashier scans the item, she scans it the first time. Have you ever wondered how they can cash you out so fast? This is why. Next time you are in an Aldi, count how many barcodes are on your products, the average item has up to five bar codes on it. 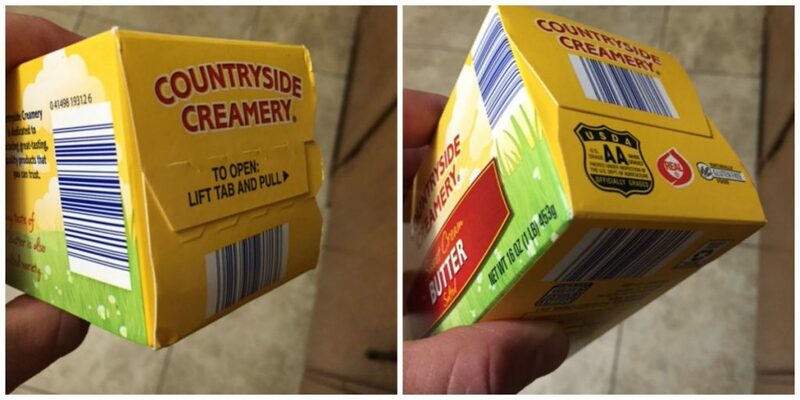 I pulled out a package of Aldi butter today to check, and it had FIVE bar codes! 2.) The boxes that store the items at Aldi are specifically designed for their store. They can easily rip off the top of the box and place on the shelf, making it quick and easy to stock the shelves. The boxes also match the packaging on the actual product, making it easy for you to identify when you are doing your shopping. If you've forgotten your Aldi bags, you can always find an empty box and use that to bring your groceries home in. 3.) Have you ever wondered what that strange yellow hook in the front of their shopping carts is for? 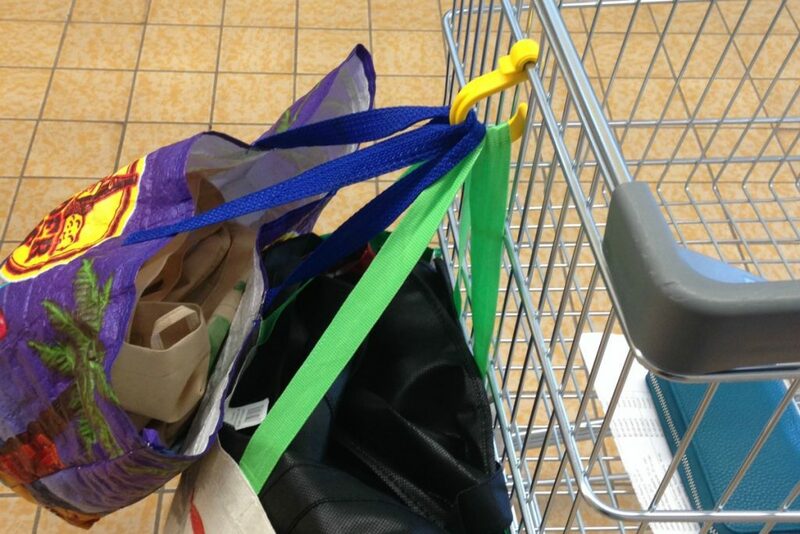 It is to hold your reusable bags – genius! You can also hook multiple carts together using the hook, perfect for large families. 4.) Aldi will discount their bread items 5 days before the item expires. Simply look on the package for the expiration date, if it is expiring in six days and it is nearing the end of the day, wait until tomorrow to get it at a deep discount. 5.) You have to bring your own bags to Aldi and bag your own groceries. This is just one of the ways that they keep costs down, and make it an efficient place to shop (and work). 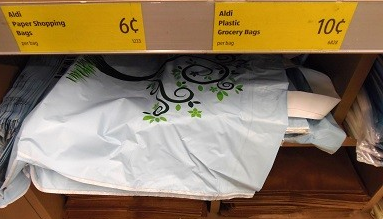 You can purchase their Aldi bags for $0.10 a piece for plastic or $0.06 for paper. I typically just keep my bags in the back of my van, that way I always have them on hand. 6.) They have specially designed produce signs. 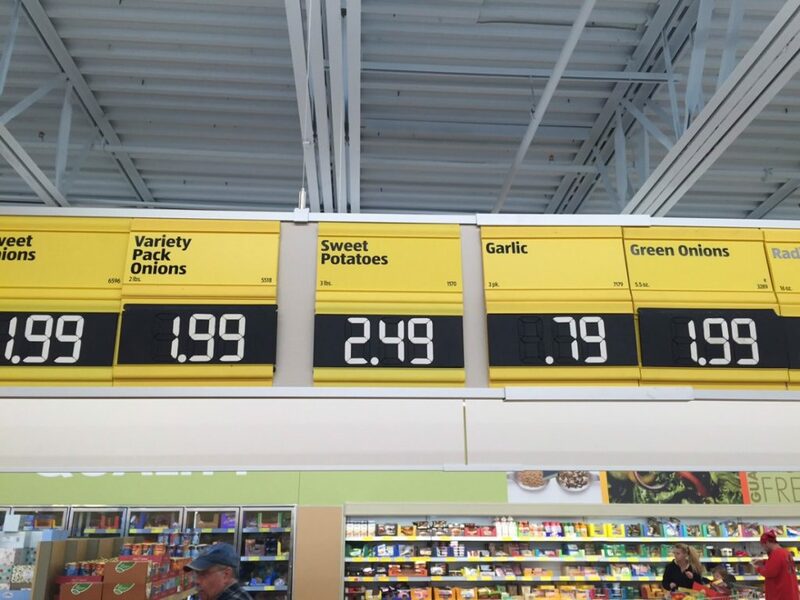 Instead of switching the sign out every week, they only switch out the prices. You can see that the black tags are the only ones that are changed, this helps the employees run the store efficiently. 7.) The refrigerated items are stocked from behind the racks. We buy from the front of the shelf, and the shelf replenishes itself. This makes it easy for us to buy the newest items, and for the stock to never go bad. 8.) They locally source certain products. 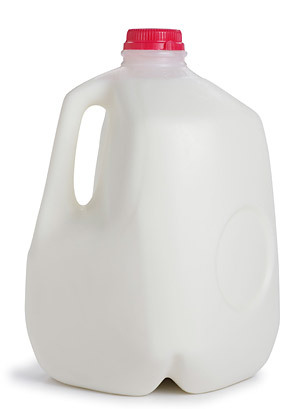 My local store uses a local milk provider (Byrne Dairy), and much of the produce is sourced from local farms. 9.) 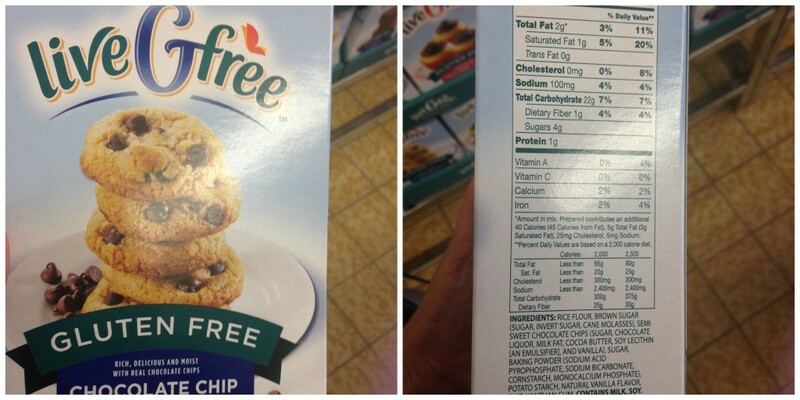 Aldi has a HUGE selection of Gluten-free and Organic foods. Their natural/organic line is called Simply Natural and their gluten-free foods are under the live gFree line. 10.) The average Aldi store has 6-8 employees. They pay their employees significantly higher than the national average and by working only 20 hours a week, they give their employees full health insurance. 11.) Aldi's offers a double back guarantee. If you don't like an item, you can bring it back, get it replaced, AND get your money back! 12.) Many of their store brand items are actually name brand items. 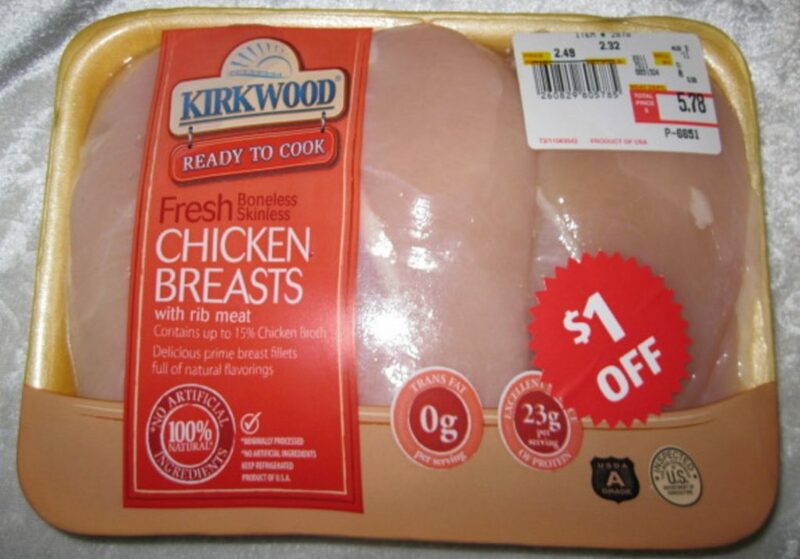 I've heard that their Kirkwood Chicken is actually Tyson chicken, just under a different package. The Kirkwood Gluten Free Chicken nuggets are the same exact ones that I buy under the Wegmans brand. The Wegmans brand is $2.00 more per bag. 13.) 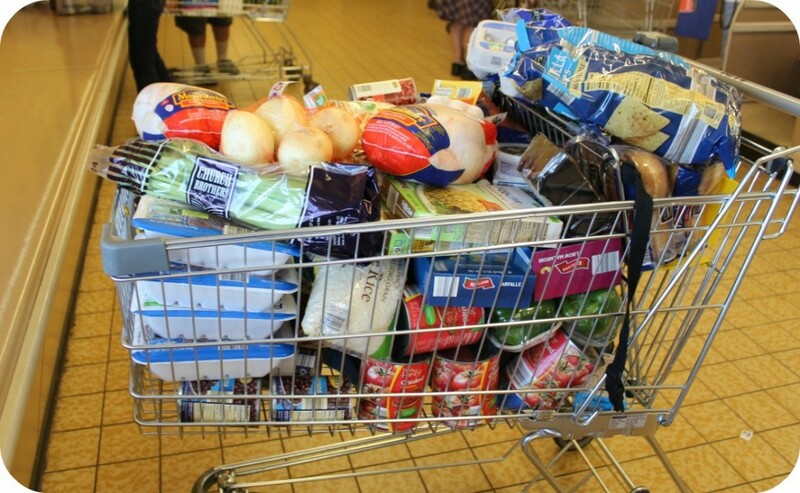 You can feed your family on under $100 per week at Aldi – I am proof! I have a family of 6 and we eat for under $100 per week at Aldi. Don't believe me – check out my Aldi meal plans where I teach you how to buy a month worth of dinners for under $150.00. There are four meal plans available – you can check them all out here. Not only have to bag them,but scan them as well at my local Walmart!! No thanks!! I’m extremely frugal and I know how to find the best deals. I can feed my family of 4 for under $150 a month. The Walmart Neighborhood Markets have better prices than Aldi’s by me but if you go to a normal Walmart then the prices are higher. I used to shop only Aldi’s until I started actually comparing prices. I have not found anything GF at Walmart except the national brands like Udi’s, and those are far and few between in Ohio. Aldi’s all the way for GF for me! Their bread makes the BEST grilled cheese. Aldi has a policy against approaching another customer and offering to take their cart for a quarter. My little boy offered an elderly lady a quarter to take her cart back for her and when she let him keep the quarter, we got in trouble. Guy said can’t get a cart from a customer…who knew..dumb rule. I’ve never seen that happen. This exchange happens all the time at our Aldi. Happens every time I’m at Aldi’s, young and old-er alike exchanging carts and quarters, no problems. But someone does needs to bolo the quarter thieves, ie those who check the carts for loose chains and pop the quarters and pocket them, straight out thieves in my opinion. We do that all the time at our Aldis. If I see someone near me packing the car up I say “hold the cart i’ll take it and give you the quarter” That way they don’t have to run the cart back and waste time for both of us w/ the cart rack etc. I always keep 2 quarters in the car or in the pocket of my winter coats for the Aldis cart. Same where we live in Ohio….many people offer their quarter for another shopper’s cart…and, without incidents…..
I’ve been doing this off and on for several years at multiple Aldi stores in the mid Michigan area and have never had anyone tell me not to. The last time was just a couple weeks ago. Bummer that you had that kind of experience. There was a couple of kids that was using this as a way to get money. They would offer to help you to the car and then take the buggy back and keep the quarter. They were there all day. Finally someone had called a cop and got them into trouble. So much for actually teaching our children to be helpful. It’s my quarter. I donate my cart all the time. I don’t think that is true I have done that right in front of a store employee. What would be the difference of just leaving you cart in the parking lot. The reason for the quarter is to have people return them saves cost in retrieving carts taken from the lot. Besides it’s my quarter and I can give it to anyone I want. I would challenge them one that, I think it was someone that spoke out of line. Our Aldis doesn’t care. Do it all the time..
Not my Aldi. Sometimes when entering the store I will see someone on route to return their buy and I will offer the quarter to take the buggy. Many people appreciate not having to take the cart back. If a young kid asked if he could return my cart for me? Well depending on the day, weather or perhaps my shoes; it’s my quarter and most likely I will say sure as long as the approach is appropriate. Many times I am intersected by another shopper for my cart and try to give me the quarter and I just say, “no, have a blessed day “. What better way to pass on an act of kindness. I love Aldi. When I am on a trip, I Google ahead to the city I’m visiting and it is usually one of the 1st stops on the way in. I’m a former Aldis employee. There is no such rule in any store I worked in and I worked in 7. Not so, I work for ALDI and no such policy exists. FT benefits for 25 hours also, not 20.
fyi – Leaving your cart loose (even with a quarter in it) causes problems. The reason being is that carts that are loose can “get away” and hit cars, roll into parking lot. I pocket all quarters from carts just left loose. I then put the cart into the locking mechanism. I will also give my cart to anyone, I have quarters and am not that frugal. I have never seen this once at any of the several Aldi locations that I shop at. The employees are spread way to thin and don’t have time to care about something so miniscule. At many of the Aldi locations where we shop, there are usually “pay it forward” carts also floating around. You get a cart from someone for free, but you have to pay it forward and give it to someone else no charge. Obviously not an Aldi rule or anything….just something the customers do. It’s quite cool. That does not happen at my Aldi in Middletown, NY. Just the other day, I gave my cart to a woman who gave me her quarter. There are other things to worry about than exchanging a cart with someone. Have you considered helping your cashier (and yourself) by placing your purchases in the cart while she scans the remainder of your order? Doing this allows her to relax and get you checked out and your items are handled in a manner that is acceptable to you. Relative to the $9 bags of nuts, price does not determine quality. Additionally, Aldi offers a 100% guarantee on everything they sell. Is there a reason you didn’t return the rancid item, they would have gladly replaced the item AND given you your $9 and tax (if applicable) back. I have never had to return anything to Aldi so admittedly I am not familiar with their return policy although I’m inclined to think Aldi would still honor the return since their labels reflect the Aldi name, usually on the back close to the ingredient or nutrition information. Although what you chose to do with your grocery receipts is your choice but hanging on to receipts (at least for a short while) is helpful in many ways if only to track your grocery spending and/or a reference point of your food assistance balance which prints on your receipt. My local Aldi encourages its customers to arrive when the store opens (8AM) on the first morning of the sale because they know the special meat buys go fast (in this economy everyone takes advantage of low meat prices). Even though certain meats are considered and advertised as a Wednesday Meat Special, my Aldi restocks and I make my purchases later in the same week. 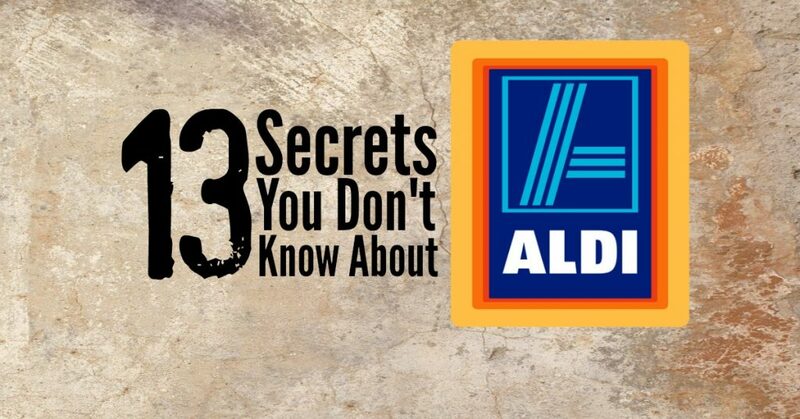 Aldi is not perfect, but neither are the large well known grocery chains. I look at the simple pleasures and efficiencies that Aldi offers in addition to the quality items at a low price, for example I like to take my time when shopping to really look at what is on the shelf (I may have forgotten to include an item or two on my planned list), Aldi’s small footprint allows me to take my time yet not spend hours in the store, checkout is always fast and I’ve never experienced rough handling of my items by a cashier, but I also help load my items into the cart, this benefits not only the cashier but me and the customer in line behind me. Lastly by loading my own cart, items are placed in the order in which I wish to unload and place in my vehicle. Simply my own opinion but looking for the good (in all things) vs focusing on annoyances results in our leading a much happier life and enables us to better cope with the less fortunate situations. We are living in struggling times folks, look for the good, no need to look for the bad, the bad is in plain view. Again just my humble opinion. Our Aldi(s) in MD has an empty card behind the register and fills in the grocery. Once my card is empty, and I’ve paid the cashier just takes it for the next customer. My Aldi in Kinston,NC also gives me the Cart she had by her Register & twice I could not get a Quarter back & to much hassle to return inside the Store. But I do love “ALDI “, I only wish there would have more German Food. We go all the time and just tell the person to pay it forward. At our ALDI store in upstate NY, you can not help the cashier because there is no room to do so. The cart they put the groceries into after they scan them is set tight up to the cash register. 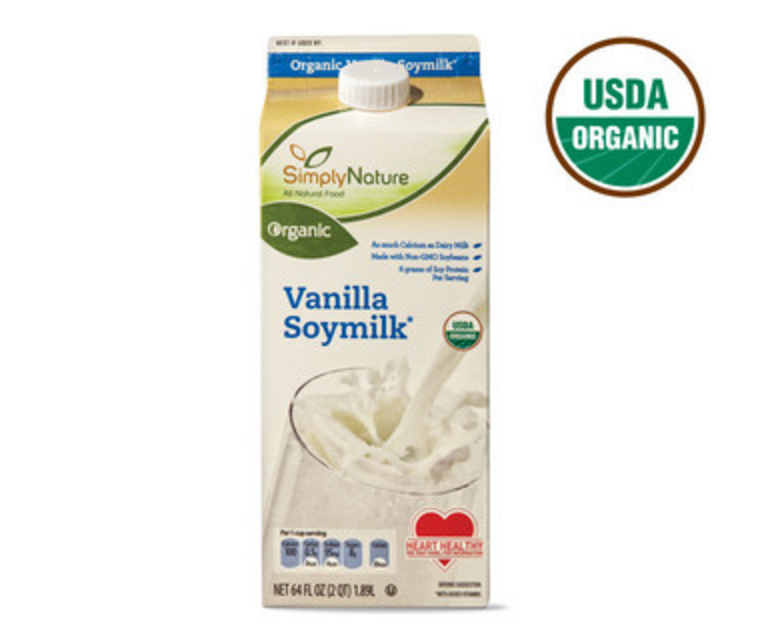 It’s good that you get organic Vanilla Soya milk. In the UK we do not have that choice we just get the ordinary GMO soya milk rubbish. The UK has very limited gluten free and organic produce. I like Aldi, the annoying thing with them is that they will have coal one week, once it runs out, you don’t see it again. Its Winter and they don’t bother. They are inconsistent with stock replacement. Who in the He..double toothpicks uses coal!! Here in the Midwest it is virtually unobtainable for the past 50 years!! Most everyone is piped for natural gas. Maybe they mean coal for grilling out? Hence the comment that they don’t bother to stock it in the winter, (because there are much fewer cook outs during the winter and thus less people wanting to make that purchase). Makes sense to me, why stock something that isn’t going to sell for several months? It’s the same in the UK which is unfair. Those over 50 have a hard time finding work. Aldi are ageist as are the majority of corporations. They find reasons to get rid of staff. In the City of London, some law firms push those who are not partners out at around 50, they force some into constructive dismissal. Emma Watson’s father, was instrumental in doing that to support staff where he worked at Citypoint. Not a nice man. All Aldi’s store managers are very young. It was the same in Brisbane, Australia. Their food in on the whole very good and they make eating affordable for those on a low budget. That has changed in the past few months. You can now use a credit card. Ours in Indiana and Kentucky do not have hooks either. Would LOVE to have those on the carts! No hooks in Alabama where I lived previously, now I am in Arkansas and again no hooks, but I do have my own grocery bag hook.. for when you have multiple bags to bring in and I do clip my bags together with it, great option with the cart-look forward to seeing them widely available. Bern shopping at Aldi for 25+ years. Can not understand why people want to shop at Wal mart or hy vee. I go to Wal mart for only the things that Aldi doesn’t carry. You save a heck of a lot more money. My daughter is an employee at aldi. Her pay and benefits are great too. #7 has been in use at Walmart and Target (and probably many other stores) for years. It’s not a unique service at Aldi. I recently moved to an area of Texas that doesn’t have an Aldi, my food costs are triple what they were! The cheapest milk that I have found is $2.99/gal, this is sticker shock to me since I was paying .94/gal in Illinois! I hope an Aldi moves into the panhandle soon! We use aldis and we love it. Didn’t know anything about them now it is the only place i shop. Cut our grocery bill by more then half. We was spending over 200 a week in groceries now we spend that for a month of groceries. I have kids that are picky eaters to and i have no problem with it. We are in longview Texas. And they just opened a store in Tyler Texas. I’m from Germany and have shopped at Aldi all my life. I wish we had a Aldi in Woodward Oklahoma. The closest store is 90 miles from us. I like aldi for a lot of those reasons. However my main purchase is usually fresh produce and aldi has the worst I’ve ever seen, not worth it to pay the same price for rotten zucchini that you’d pay at fresh thyme (aka sprouts) for zucchini so fresh it stays good outside your fridge for weeks!! However I’ll buy boxed and frozen at aldi any day, they also have wonderful party food options. I have been shopping at Aldi for years and we like some of the Aldi brands even better than some of the name brands at other grocery stores. In fact, there are some foods we will only buy at Aldi. I am just amazed at how good most of their food is and for such a low price. If a family is struggling financially, this is the place they need to go because they will get more food for their money. Many of the items are at least $1- $2 LESS at Aldi than at any other store and its as good or better. I am a huge fan of Aldi and could have written this article myself about it! I am so happy they have the gluten free products because I am wheat intolerant. It acts like a sedative on me. Our stores in the Dayton, Oh area dont have the yellow hooks, but I just put my bags at the bottom of the cart. Can someone confirm that Aldi’s Kirkland chicken is rebranded Tyson chicken? I really hate Tyson and Perdue. Definitely won’t be purchasing Aldi Chicken anymore. We have to have at least 25 hours or more to recieve full benefits. But If they are casual sale associates/cashiers making over 25 hours, they don’t have benefits because they hours fluctuate each week. And paper bags went up to 7 cents per bag before tax. Should focus more on Food Products and less on seasonal hard goods. You need to expand the organic food line as well. Is your chicken actually Tyson? PLEASE, PLEASE open an Aldi in Amarillo, TX. I have shopped Aldi for more than 40 years. The special buy section has yielded many a useful and inexpensive product for the home. I found hot air machines there when I could not find it anywhere else and a sewing machine that worked wonderfully for less than $75. The house brand of vegies have national brands beat hands down for flavor. We like the Dakota baked beans way more than Bush’s and the green beans taste almost fresh grown. The return policy is wonderful too- get my money back and something else besides. A full cart of groceries there cost at least a third less than Kroger . There’s a lot of things that I don’t like about Aldi…but there are WAY MORE things that I love! The reason my son and I are able to eat as healthy as we do for ~$70 per month is because we shop Aldi. We recently tried to introduce more cabbage into our diet. We did so by using all Aldi products: blue cheese crumbles, No Antibiotics Ever bacon, pink sea salt and black pepper, balsamic vinegar with a little of their organic honey. We put it all on broiled cabbage steaks. My 10 year old ate it! Most of what I love about Aldi is that I can play with food without the worry that I could be flushing money down the toilet. I can be adventurous and try new things without throwing my (very tight) budget out the window. Times are hard and costs are inflating while paychecks haven’t been keeping up for nearly 20 years. We struggle, but by shopping at Aldi we can bring back healthy and fun. Sorry! Meant ~70 per week! $70 per month is crazy talk!! ALDI is a great place to shop! However, ALDI is ageist in it’s hiring practices. For those of you that do not know the term, it means ALDI discriminates (illegally) as to who is hired. This is not a secret to people that are more than qualified to work in a grocery store, have tons of experience as well as the skills and the drive to succeed at any age. Yes, saving money is great. However, the company is violating one of the most important rights we have as Americans. Or had as Americans. And that is not to be wrongfully discriminated against in hiring practices. Look around the internet and you will find people that do not think ALDI is so American and so grand. It is well known that ALDI does whatever it wants with hiring. By the way, I am a white male in my 40’s and I have applied repeatedly with the company. I have applied for bottom-level and other levels within the company as I hold a college degree. However, I am too old and experienced for the company. 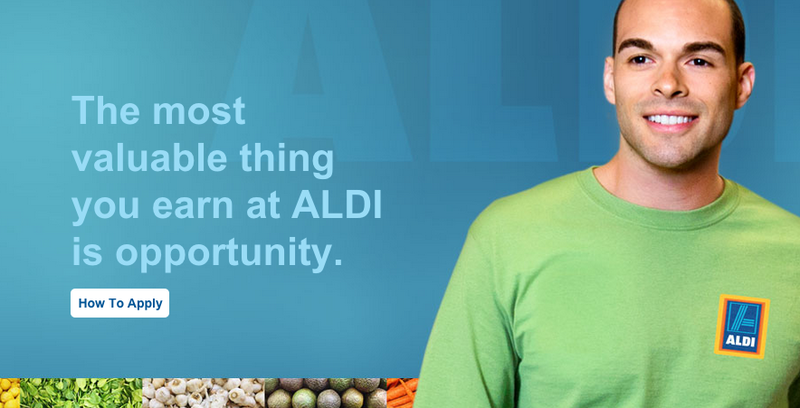 As a matter of fact, the most prized group for ALDI are the 22 year-old graduates that get the highest paying jobs at ALDI right out of college. What is the magic that lands a job working in that store is beyond me. I have applied more than once. I know the business and I am strong and built to do the job at any level. I owned my own company and sold it. I never discriminated as a small-business owner. I hope all the happy ALDI shoppers have an idea of what it is like to be shot-down repeatedly for a career you are totally qualified for here in the U.S. ALDI is based in Batavia, IL (but is German-Owned) and I am from IL. Perhaps it is the German ownership that has permitted this food store the honor of being so discriminatory as to the age of people working in their stores. I have nothing against Germany, I just think ALDI needs to be corrected by the State of Illinois (which is not a proactive state) or by the federal government as to it’s hiring practices. I am 53 and have worked at ALDI for a year. I love our Palm Coast, FL store #113!! Whaaaaat?????? I came across this post by accident and became fascinated with people’s comments – some of which I agreed with and others I did not. 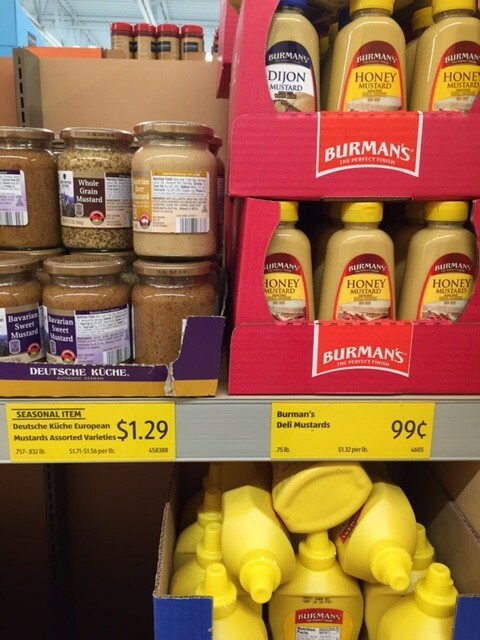 I love Aldi – for what it is good for – fast check-out and good pricing on many things. Not all. I agree that Aldi ( the company also owns Trader Joe’s) has gotten quite a bit more expensive in the locations where they renovated their stores ( the money has to come from somewhere, right?) and sometimes, when you don’t pay attention, you could go home with an item you wish you had checked out better… in which case you take it back, with your receipt, and they are happy to give your money back. As for the disgruntled middle-aged writer above: it is true that most of the employees seem to be younger than the writer, but if you/he has/have good references and are willing to work for the salary offered, I can not imagine that they would not hire him! Try again and take the chip off your shoulder when you apply! I have shopped at ALDI since the 80’s and have taken a lot of flack from snooty friends who could not shop where there were not all brand names and where they had to pay for or bring their own bags. I swear by everything I have ever purchased over the years. Having moved a number of times, I was always fortunate to have an ALDI’s within an hour drive and it was worth it to me. I have spoken to Management who lied to me at a Grand Opening in Sevierville, TN telling me that an Aldi will be opened in Pensacola, FL, it has not. She said that Aldi was opening a District office in MOBILE, AL, they have not. She told me within two years and they have passed. I live in Foley, AL where an ALDI would be a perfect store for the area, however every time I call or send an email, I get a computerized response saying they are always checking areas to build new stores. The closest store is 4.5 hours, a bit too much. Someone help me get an ALDI store close to Foley, Gulf Shores, Mobile, AL or Pensacola, FL!!!!! Does Aldis have good junk food? like potato chips, chocolate stuff, candy? There are a couple of small inaccuracies here. ALDI offers health insurance to “full time” employees, an employee averaging at least 25 hours a week. The insurance is extremely affordable and they offer other benefits (short/long term disability, dental/vision), 401k is available to all employees. I don’t know if any stores that are fully staffed at 6-8 employees. Most run around ten employees, some have as many as twelve to fourteen. It’s still a small staff considering they’re running from the store (in my area) 9am-8pm every day. Employees can be scheduled daily anywhere as early as 4am to as late as 9pm. If they need to do store resets, it’s possible they’ll be scheduled far later/earlier. #4 is not the case with our local Aldi in the UK. 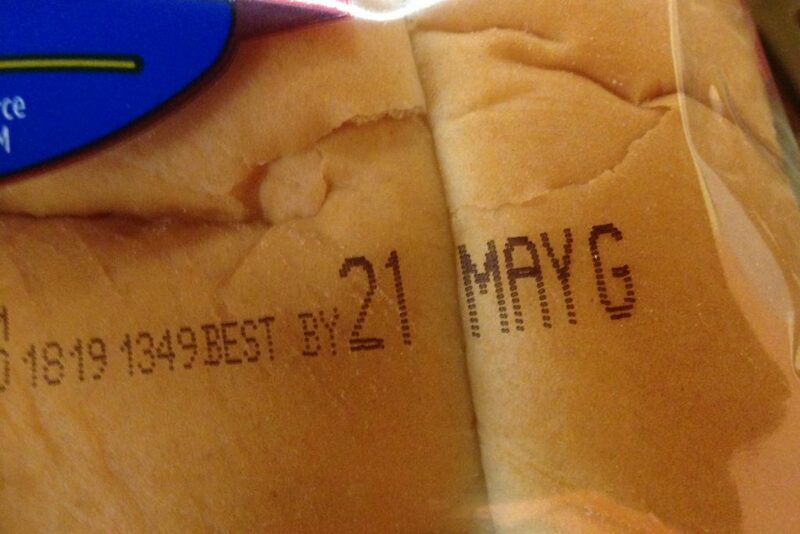 I’ve been caught out before by bread only having 1 day before the Best Before Date. Now I check and nothing has more than 4 days left. The signs in #6 don’t exist either. I was upset to read that Aldis “Never Any” products are actually fed GMO FEED!!!! That means we are getting Monsantoes weed killer/cancer causing ROUNDUP IN OUR FOOD!!! I Pray the products labeled “Organic” truly are ORGANIC/NONGMO! !